Welcome to our new concept of male to male spa in Bali. It is your gay day club in paradise. It is more than a Spa, you can get lost here all day without even taking a massage, you can have a barista coffee or a light snack or even a full meal. We have wines, mixers, healthy juices all come from our professional kitchen. 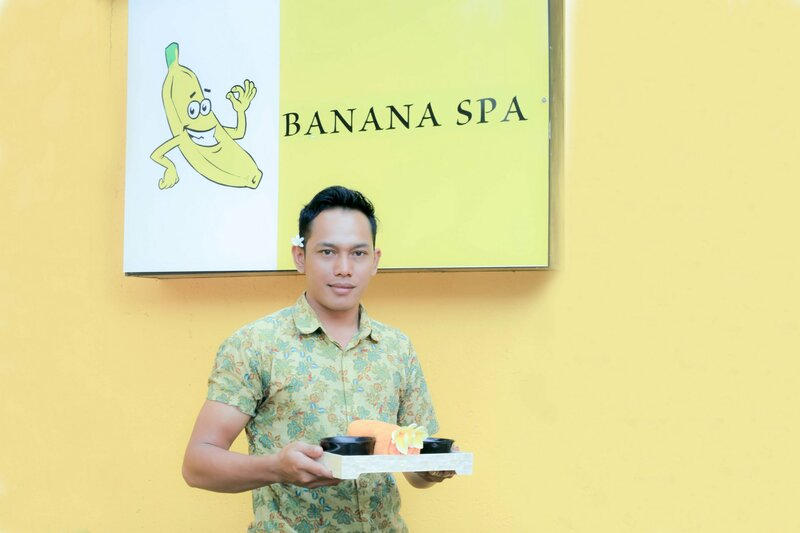 When you are in Bali, come to the Banana Spa Club, take a sunbed, grab a towel, have a dip in the pool, sip on a cold glass of wine and just watch the clouds go bye, if you are bored you can even chat with the other like minded guests.